Anthology isn’t your typical DC luxury apartment community. Yes, it has all of the bells, whistles and quartz counter tops, but it’s more than the physical things in the apartments and throughout the building that make it what it is. It’s a connection to the community. When we picked H Street to build a place for people to live, we recognized the feeling of the neighborhood was artful, soulful and independent. We wanted to keep that feel, promote it and flow it through the spaces at Anthology. What I wanted to achieve with the building was to not hide the details or the structure. From top to bottom of the building, it’s honest. You see brick, it’s real brick. You see a shipping container, it’s where you get your mail. The materials we used to build Anthology are on occasion a bit different; and, without a doubt, all the pieces are put together in a way you won’t see anywhere else. We decided that we’d leave “the hand of the artist” where we could and in some places you’ll see pencil markings or a boot print from the hands (and feet) that constructed this community. Then there’s the actual art that fills the spaces. Original paintings, prints, sculptures and video projections line the walls and common areas. We’re trying to bring the independent aesthetic from the neighborhood into every space. 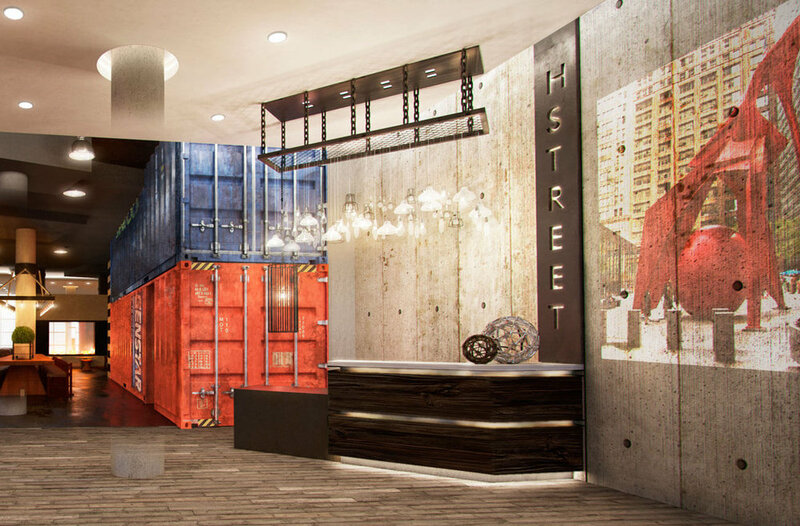 In every way, Anthology is actively aiming to keep H Street, well, H Street. And that’s a very good thing. Some might call it eclectic, we’d just like you to call it home. Schedule Multiple Tours of Anthology!